So, first, we don't have a TV so my children are TV-illiterates. Explain why the candidate got a second chance. Turned out she was confused because she didn't knew how those quiz shows work. Edited by APF, 17 January 2019 - 0933 AM. And so that's not a maths question. Yeah, badly formed question. Is it a math test or something else? Explain why? Does it need a 4 paragraph essay? Well, the answer is that *all* the answers to choose from were wrong (that's the math part) so the candidate wasn't able to pick a right answer at all and had to be given a second question. The TV-social part is probably no big deal for those pesky 98%-ish kids who know their quiz shows, but for the rest it's a bit puzzling. You could ask about recatangles and stuff without framing it as a TV quiz show. I've been out of grade school for a few years now, but rectangles aren't parallelograms? Traditionally, in two-dimensional geometry, a rhomboid is a parallelogram in which adjacent sides are of unequal lengths and angles are non-right angled. A parallelogram with sides of equal length (equilateral) is a rhombus but not a rhomboid. A parallelogram with right angled corners is a rectangle but not a rhomboid. You have 3 apples in one hand and 2 pears in the other. Why are the bananas yellow? Green. Because Motorcycles don't have windows. Sure. But "Textaufgaben" (story problems) are supposed to be a bit entertaining. As far as I'm concerned it definitely was. Of course. But what I remember from my time in Grundschule, this type of problems were always a bit odd. Though I think the purpose is less math and more the reading comprehension to filter a text. And I agree the entertainment value of the generational disconnect between the writer and your child not knowing TV quiz shows. on the other side - friend of mine told how his 8 year old daughter asked something from her grandmother. Edited by bd1, 18 January 2019 - 1318 PM. So a square isn't a rectangle? 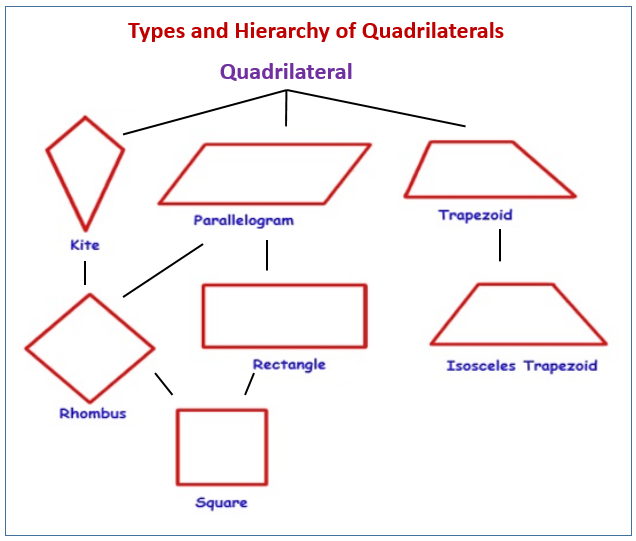 I read the hierarchy as a square being both a type of rectangle and rhombus, and both of the latter being a type of parallelogram. Which is correct if you think about it. I simply refer to Euclid who would have answered that the rectangle is a parallelogram. Euclid, and Archimedes both defined rhomboid as having adjacent sides of unequal length and angles that are not right-angles. A rectangle is not a rhomboid. A parallelogram is a quadrilateral with opposites of equal lengths and opposite angles are of equal measure. Rectangles are parallelograms. A square is a quadrilateral with four equal sides and four right-angles. A rectangle is not a square. So, by the logic that we're just going to throw out 2000 year old definitions because they are inconvenient, then we can also state that a square is not a rectangle. Edited by DKTanker, 18 January 2019 - 1540 PM. Everything you say up to your last line is correct, it just has no connection to the latter. Sure it does. The original premise is that the question could not be answered because a rectangle is not a parallelogram. My point is that if a rectangle is not a parallelogram then surely a square is not a rectangle. As the original question was whether *every* rectangle is a .... your reasoning is a bit beside the point. Edited by APF, 19 January 2019 - 0534 AM. Not if it self identifies as a triangle.